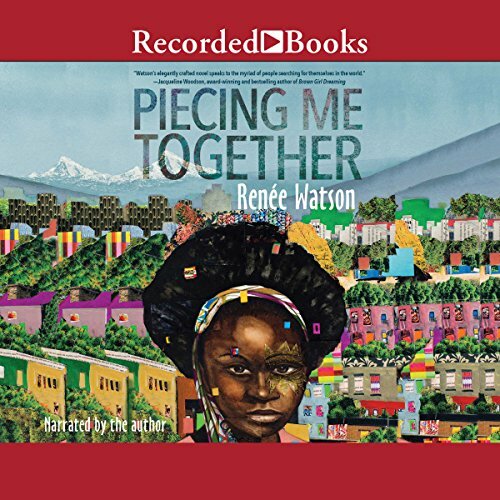 Renée Watson is a New York Times Bestselling author, educator, and activist. Her young adult novel, Piecing Me Together (Bloomsbury, 2017) received a Coretta Scott King Award and Newbery Honor. Her children's picture books and novels for teens have received several awards and international recognition. She has given readings and lectures at many renown places including the United Nations, the Library of Congress, and the U.S. Embassy in Japan. The New York Times calls Renée's writing, "charming and evocative." Her poetry and fiction often centers around the lived experiences of black girls and women, and explores themes of home, identity, and the intersections of race, class, and gender. Her books include young adult novels, Piecing Me Together and This Side of Home, which were both nominated for the Best Fiction for Young Adults by the American Library Association. Her picture book, Harlem's Little Blackbird: The Story of Florence Mills received several honors including an NAACP Image Award nomination in children's literature. Her one woman show, Roses are Red Women are Blue, debuted at the Lincoln Center at a showcase for emerging artists. One of Renée's passions is using the arts to help youth cope with trauma and discuss social issues. Her picture book, A Place Where Hurricanes Happen is based on poetry workshops she facilitated with children in New Orleans in the wake of Hurricane Katrina.